One of the best things to hit the healthy food world is kale. Everyone loves it, it’s very healthy and you can eat it however you want. Try it in this garlicky pasta. It’s hard not to grab a big bunch of these inviting dark green leaves in the vegetable section, isn’t it? It is always a very good buy, mind you. But the hard part is determining what recipe to make. A simple pasta dish is always a hit at our table, especially when it’s full of bold flavors like garlic and sun-dried tomatoes. Over medium heat, in a large saucepan, saute the garlic, anchovies and chili in extra-virgin olive oil. Toss until the anchovies melt. Add half of the sun-dried tomatoes and the kale. Cook for 5 minutes then add the water. Cover and cook for another 1/2 hour over low-medium heat. Add more water if it’s drying up. Pass a hand blender on the kale while still in the saucepan to make a creamy consistency. Add the rest of the sun-dried tomatoes. Cook for another 3 minutes then turn off the fire. Cover. Then cook the pasta. Over high heat, boil a pot of water. When it boils, add some salt then the pasta. Follow the cooking time indicated on the package of the pasta. 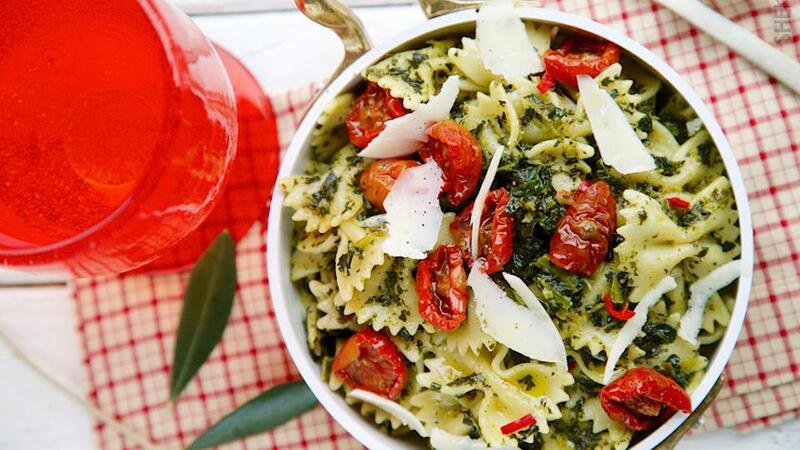 When the pasta is almost cooked, start warming up the kale over low-medium heat. 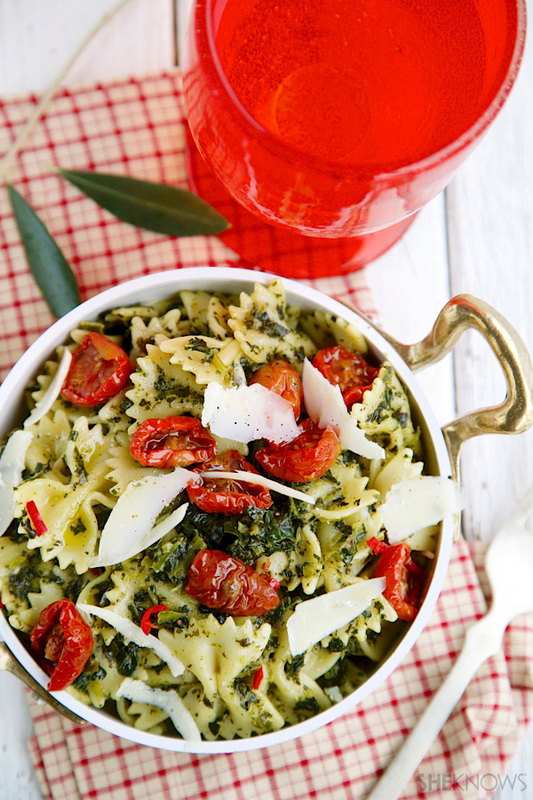 Mix the cooked pasta with the kale in the saucepan. Drizzle with extra-virgin olive oil and sprinkle with Parmesan.